A worm farm involves some type of container or bedding area set up to contain worms. The worms may be used for vermicomposting, which is the process of using worms to compost household and garden scraps. They also may be raised to be sold as pet food or fish bait. 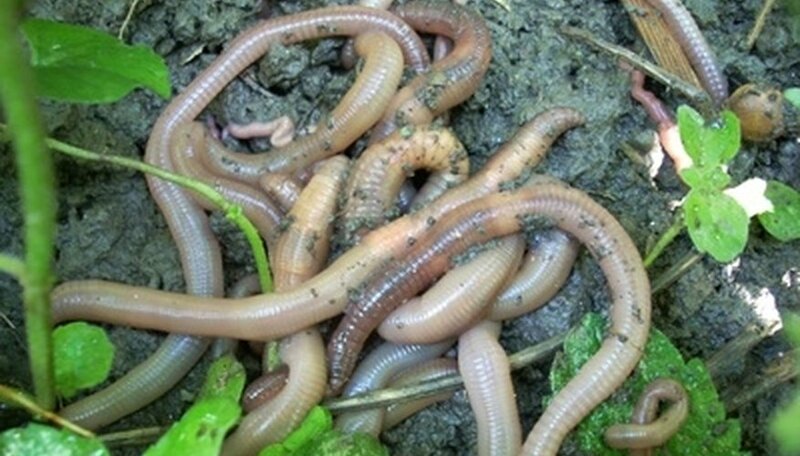 Whatever the purpose of the worm farm, there are some common problems that can occur. The growth of white mold or fungus may indicate that something in the farm needs to be adjusted, but it is not harmful. White mold or fungus in a worm farm is not unusual, especially if it is a new setup. These organisms eat decaying food and thrive in the undisturbed dark and quiet of the worm farm. Mold and fungus actually help to break down the food that is placed in the bin with the worms, in turn becoming worm food themselves. The worst problem with white mold in the worm bin is the possibility of allergic humans inhaling the spores, but it will not hurt the worms. The main way to prevent the growth of white mold in a worm farm is to avoid having the farm sit without worms for any length of time. Mold and fungus grow quickly if left undisturbed, and a worm bin offers an ideal environment for these organisms. Add worms to a bin as soon as possible after a brief period of aging for the new bedding. Since white mold is not harmful to the worm farm, if it does grow it is easy to manage the environment so that it is kept under control. To deal with white mold that is growing in a worm bin, it is best to gently stir the bedding and mix the mold or fungus in until it is not visible. If the worm farm has not yet been populated with worms, this is the time to add them. They will consume both fungus and mold, and also will keep the bedding stirred up so that new growth is unlikely to occur. If the mold does come back, the bedding is most likely either too wet or too acidic. Add dry bedding to cut down on the moisture level. To reduce acidity, don't feed the worms citrus scraps, make sure they are not being overfed and add a bit of garden lime. When balance is restored, the growth of white mold will be stopped or minimized. Baby worms hatch from small cocoons that are shaped like jellybeans. Worms can re-grow lost segments of their bodies, but if cut in half or if the head is detached, a worm will most likely die. Worms have no eyes but are able to sense light and try to keep away from it. If exposed to light for too long, a worm becomes paralyzed and will die.